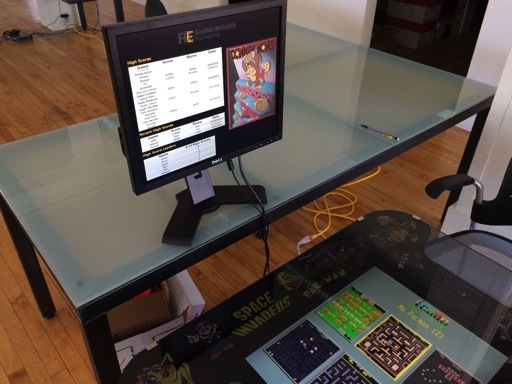 Raspberry Pi Arcade Game High Score DIsplay for Multiple Locations @Raspberry_Pi #piday #raspberrypi « Adafruit Industries – Makers, hackers, artists, designers and engineers! Very cool project tutorial from instructables user stevemoseley. This Instructable will show you how to use a Raspberry Pi board with an existing computer monitor to create an arcade game high score display for your home or office. You and your family or your co-workers can keep an eye on the latest high scores and get into a little trash talkin’. Since the display pulls all of the information it needs from the internet, you can have multiple displays showing the same information or several with the differences you decide.